Okinawa i Praise price starts at Rs.1.15 lakh (Ex-Showroom, Delhi). 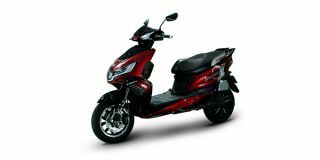 The i Praise gets a detachable lithium-ion battery that according to the company, takes 2-3 hours to charge and gives a range of 160-180km. Share your experiences with i Praise? Q. Does this scooter available in Ahmedabad. I want to know complete specification about this like battery life, how to charge it, max. speed what average can achieve in single charge,etc. Q. Is it worth to pay 115000, any problems you faced so far? Q. I am commuting around 80km/day. My question reg. I praise is about actual range in one full battery charge and actual top speed in turbo. I am reading lot of reviews saying that the full range and top speed that Okinawa claims is not getting in real ride. Confused about Okinawa i Praise?